This one, Blackened Fish, I first came across when I was in the Caribbean two years ago on an island called Turks and Caicos. Being an island and having a ready supply of fresh seafood, blackened fish was the speciality. Any firm, chunky white fish that will hold together - barramundi, cod and mahi mahi are my favs! Here's how we do it! It's beyond simple! Take all seasoning ingredients, place in a bowl and mix thoroughly with a fork. 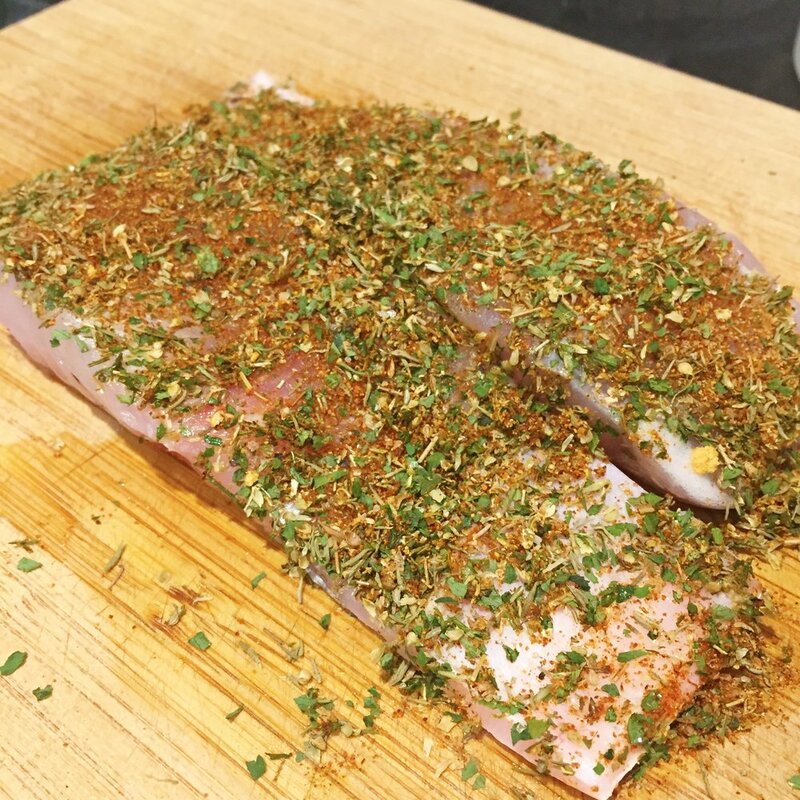 Plunge your barramundi fillets into the spice rub making sure you get an even coat. Get your cast iron skillet heated up, spray with oil to ensure the fish doesn't stick, then pop em' in! Try to minimise movement of the fillets once in so the crust forms. Turn after 2-3 minutes and cook for 2 minutes the reverse side before removing to a plate and serving with a few lime slices. This dish goes awesomely well with an avocado and tomato salsa and feels like summer all over again!